giu giu is a fashion label that seeks people who do their own thing and don’t fit neatly into a “demographic” or a box. Just like the design of the clothing, our “An uncommon thread” brand platform speaks to both how different the clothing designs are and to how different its consumers are. Develop a brand platform that needed to somehow address both the uniqueness of the giu giu product and consumer. 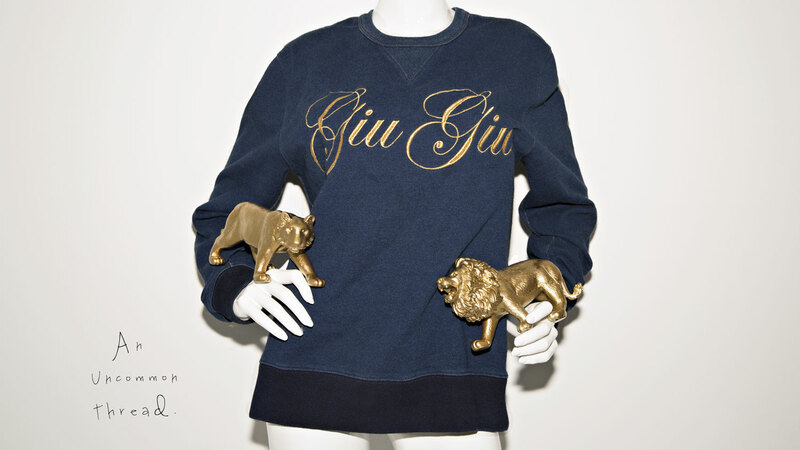 giu giu is a knitwear-focused fashion label conveying the playful humor and offbeat freedom that life should embody. It's a brand who seeks people who do their own thing and don’t fit neatly into a “demographic” or a box, just like the design of the clothing, We created the “An uncommon thread” platform that speaks to both how different the labels designs are as well as how different its consumers are. "An uncommon thread" gives the fashion label a unique point of view that captures both a product and a unique lifestyle. The brand platform is inspired by simplicity of natural textures, collage, travel and exploration.